Mount Pisano is a ‘modest’ mountainous system located in northern central Tuscany, between Pisa and Lucca. It is considered ‘modest’ since the highest mountain, Mount Serra, is ‘only’ 917 m tall. 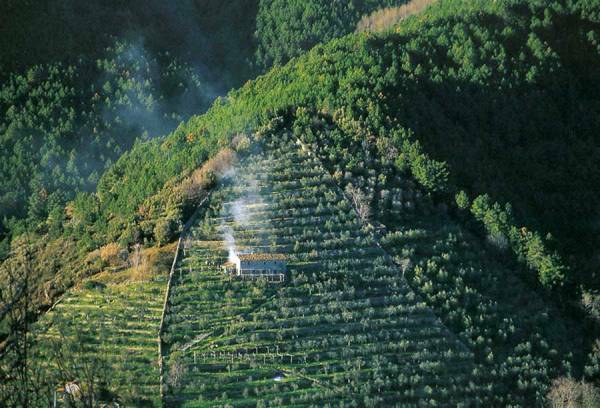 The Olive Oil Trail of Mount Pisano is an association founded in 2002 by the will of individual olive oil producers or members of a cooperative and of the five municipalities of the Pisan side of the Mount: Buti, Calci, San Giuliano Terme, Vecchiano and Vicopisano. The aim of the association is to promote and enhance the territory and its resources, by means of itineraries through nature, history and tradition, as well as events. 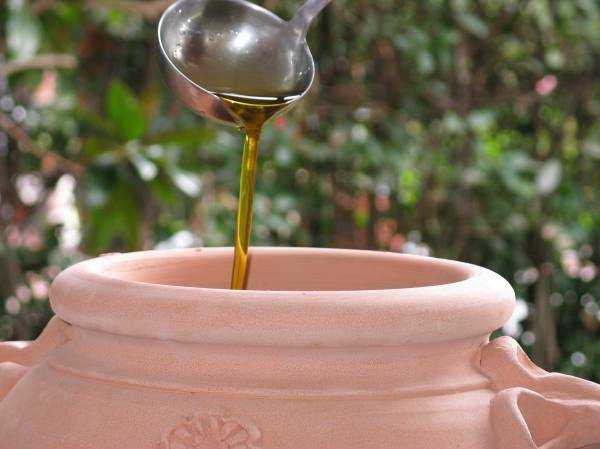 Here olive oil is the main product, obtained by traditional techniques of harvesting and pressing of the olives. 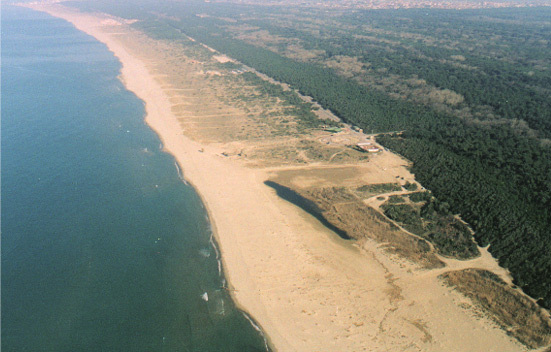 The territory extends itself from Mount Pisano to the plain stretching out towards the Tyrrhenian Sea. In this area the hills are covered with medieval villages and the remains of fortifications, while terraced olive groves lazily cover the slopes. In the centre of this region is the town of San Giuliano Terme, where history and nature have cohabited together for centuries. In addition to nature trails, the town has an important and historic health centre and spa, as well as historic villas, several remarkable examples of religious architecture, an almost intact Medicean aqueduct and several protected nature reserves. South of San Giuliano one encounters Calci where the olive tree is the unique element of the landscape and the abundance of water leads to a particularly luxuriant vegetation and a profusion of mills for crushing olives. The hamlets on the hillsides have preserved intact their original structure together with the Romanesque and Medieval churches and monasteries. 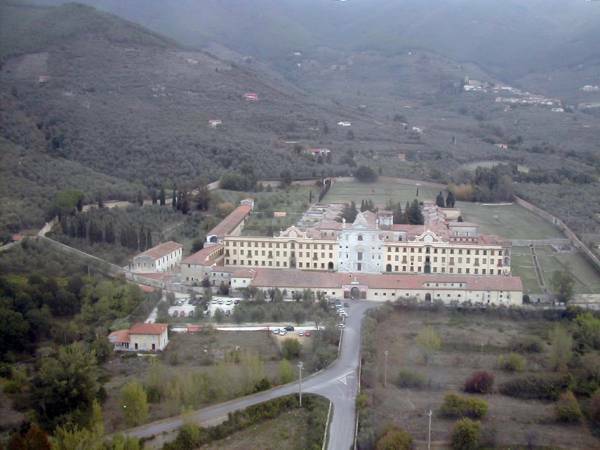 A special mention must go to the extremely beautiful Calci Charterhouse, actually the Pisa Charterhouse, a former Carthusian monastery and currently the home of the extremely interesting Museum of Natural History and of the Territory of the University of Pisa. Proceeding towards Florence one reaches Vicopisano, which in medieval times was a flourishing fortified centre of the Republic of Pisa. Conquered in 1406 by Florence, Filippo Brunelleschi designed a castle that was built here in 1434. 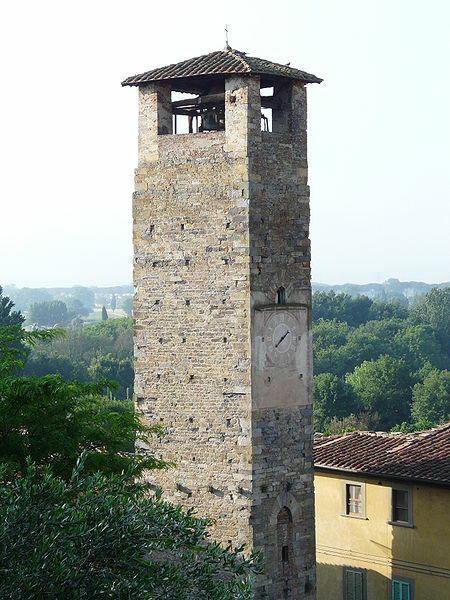 Of considerable architectural interest are also the 12 medieval towers and various 12th-century parish churches, as well as the Palazzo Pretorio, scattered around. Economical activities include ceramics, an activity in parallel with the production of terracotta, and bottling of a very famous Italian mineral water, famous for its beneficial properties. Moving north one encounters Buti on the banks of the Rio Magno. Walking through Buti one can admire numerous churches, such as the Romanesque church of St. Francis in the town square, as well as various fortifications: the medieval Tonini Castle, dominating Buti, the fortified hamlet of Castel di Nocco on the road to Vicopisano and the remains of the Lombard Castle of St. Agata on top of Monte d’Oro, Golden Mountain, destroyed during the 12th century in the war between Pisa and Lucca. Another outstanding architectural witness is the Medicean Villa, located in the oldest part of town, extremely striking thanks to its beautiful garden adorned with statues, fountains and flowerbeds. Buti is also renowned for its chestnut baskets, hand-woven according to an ancient tradition. Returning towards the coast one comes on Vecchiano, expanding along the banks of the Serchio River. 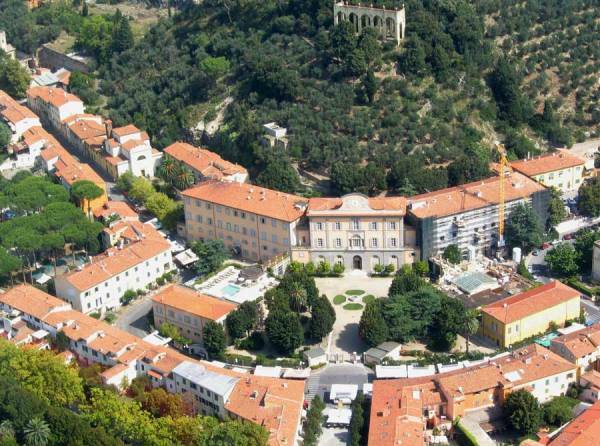 During the Middle Ages, this town was the scene of power struggles between Pisa and Lucca. On the peak overlooking the town and nearby plain is the Gaetani Castle, later Lanfranchi, also known as the hermitage of Santa Maria in Castello, a striking building dating back to 1136. Continuing west, one reaches the sea after crossing a very large, wild beach, which during most months of the year is full of colour and fragrances thanks to the presence of numerous blooms. Besides for olive oil, since ancient times Mount Pisano has been exploited for the extraction of stone (some were used in the building of the Cathedral of Pisa), but much more intensely in modern times when quarries have literally altered the appearance of the mountains. Another typical product of Mount Pisan are the chestnuts, especially those from the centuries old chestnut groves of Molina di Quosa, somewhat atypical since they grow at an almost ground level. The mountains also offer an abundant variety of mushrooms. In the magnificent Natural Park of Miglarino-San Rossore-Massacciuccoli, stretching from the sea to Pisa, Viareggio, San Giuliano Terme, Vecchiano, Massarosa and Livorno, are reared a special breed of cattle called Mucco Pisano, from which various appreciated kinds of cold meats and salami are made. The park also provides tasty, organic pine-seeds. 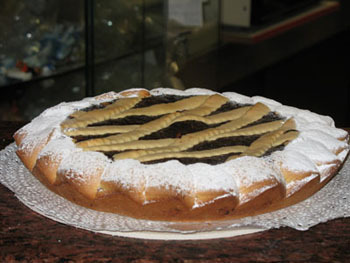 Typical dishes of the area are the cabbage soup, macaroni with rabbit sauce, tripe à the Buti way, the ‘sweet and strong’ cod, the Buti beans and the delicious Torta co´ bischeri (a short pastry cake with pine-seed and chocolate filling). 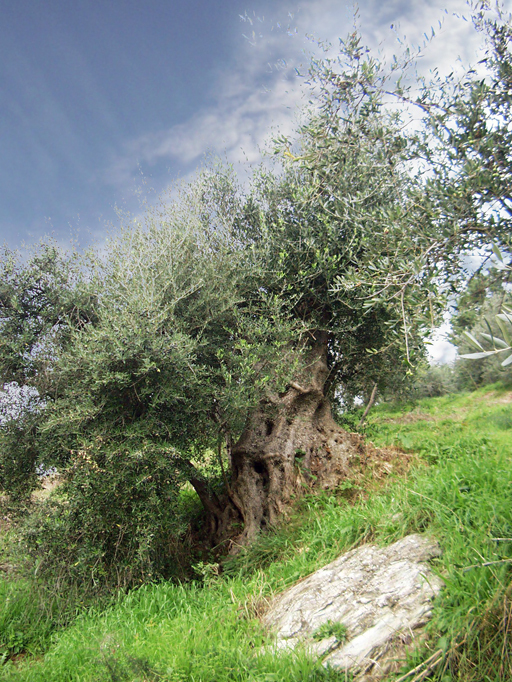 Truly the Olive Trail and Mount Pisano offer many good excuses to visit this small corner between the sea, Pisa and Lucca. Questa voce è stata pubblicata in Culture and accommodations in Tuscany, Tuscan food and wine, Tuscan lifestyle, Villas in Tuscany e contrassegnata con Lucca, Mount Pisano, Pisa, Tuscan olive oil. Tuscany farmestate. Contrassegna il permalink.